It is natural for aging adults to get turned off by the idea of moving into a retirement home. The misconceptions is that you are inching one step closer to losing independence while in reality you are one step closer to making your life significantly easier and worry-free. After all, most independent living communities in New Orleans have weekly social and recreational activities, several meals a day served in a dining, and handle all maintenance and gardening so you never have to. Some communities even have fabulous amenities such as a fitness center, pool, hair salon and spa, library, etc. Below is a list of independent living communities in New Orleans, Louisiana. At The Trace, you never have to move!  Live independently or we can bring Assisted Living services directly to your home. Combined with more than 7 years of exceptional operational experience, you’ll see why we have been voted the BEST of the North Shore! Residents at The Trace should expect the very best in professional health and wellness care. Keeping you healthier, longer is the key to better quality of life, which is why our team takes a comprehensive approach to personalized care. This includes a professional team with specialized training and education in senior care to assist with daily activities as needed. Moreover, wellness activities and social events are provided to keep your life full and enriched. You’ll find The Trace’s resident-focused philosophy to be just what you need, with a professional team available around the clock. It’s everything you may need now, or may need in the future, all in one place. For over 45 years, Christopher Homes Inc. has been the Gulf Coast’s leader in affordable senior housing. With properties across southeast Louisiana, including New Orleans, LaPlace and Metairie, we hold the philosophy that every human being has the right to respect, dignity and a sense of well being. Managed under the Archdiocese of New Orleans Catholic Charities, Christopher Homes is Louisiana's choice for affordable, low-income housing. Atrium Assisted Living facilities provide services for Assisted Living, Alzheimers & Dementia Care, and Independent Living. They feature free family video conferencing and free wireless Internet. "Our residents come first, then we focus on our staff, our belief is that success will follow." At Summerfield, you will experience life as you like it every day, with all the cooking and cleaning taken care of, along with scheduled trips to medical visits, shopping and enjoyable outings. When the need arises, we offer Assisted Living too. LIFE at Summerfield is just that, truly LIVING! Anderson offers, a safe, comfortable and secure environment for those with Alzheimer’s disease, dementia and other forms of memory loss. Our trained staff includes Nurses and Nursing Assistants. “Living in the Memories” East St Tammany’s only stand alone Memory Care Community. At Inspired Living at Kenner, we help residents enjoy a truly rewarding and engaging lifestyle. Our wide range of lifestyle options and care levels include well-appointed suites and independent living apartments, and inspiring health and wellness programs. Whether you are active and independent or need some assistance, you can be assured that we will meet your needs and exceed your expectations.